Baseball books can provide valuable history lessons. Even if they are of the biography genre, they can still give valuable lessons to the reader about a multitude of things. It has always been said that baseball mimics society and in the case of todays book that may ring true. It shows how society has changed and become more tolerant and accepting. Baseball may be slow to change at times but in this case, they have finally caught up with society. 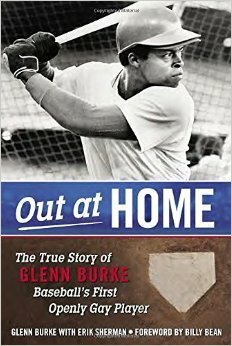 Glenn Burke was the first openly gay athlete in Major League Baseball. While that alone is trailblazing, in the end he suffered the wrath of the game and became black-balled. He had a very short career in the majors playing for both the Los Angeles Dodgers and Oakland A’s in the late 70’s. For his brief career he put up decent numbers and probably had he not been openly gay would have had a longer career. When you are the first person who does anything different in baseball it seems that you have a much more difficult time being accepted than the next person. Just ask Jackie Robinson, being a trend setter is hard work. Glenn Burke suffered the wrath of the baseball hierarchy and essentially lost his career for it. Even though some of his teammates knew about his sexual orientation and didn’t care, the baseball establishment was not embracing it. Glenn eventually died of AIDS in 1995 and this book was his way of getting his story out before his untimely death. It is a very good book that shows the struggles and humiliation Glenn had to endure just to be himself and play the game he loved. It shows some of the intolerant practices that existed during his time in the jock world of Major League Baseball. More importantly this book allows the reader to see how both the game and society has evolved in the twenty years since its initial publication. MLB has now added the Ambassador of Inclusion position in Billy Bean so that these issues don’t happen again. This book also shows how society’s views have evolved in regards to homosexuality and it is not as big of an issue as it once was. It shows that everyone has a place within our society and while it may not happen as fast as some people would like it has made some progress. 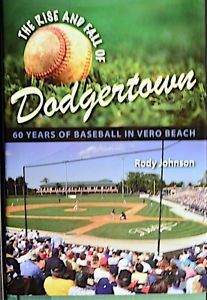 One thing I found interesting between the original publication of this book and the re-issued edition is that they used the same cover photo, but the Dodgers logos had been removed his uniform. It just struck me as odd that after all this time they would remove them. 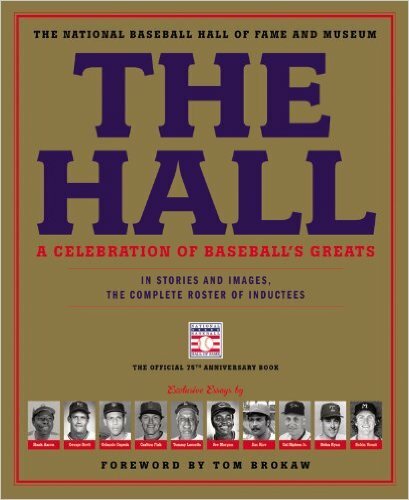 Glenn Burke is pretty much at this point a footnote in baseball history but this book does give you a nice glimpse of both the player and the man. Perhaps if he was somewhere else on a less profile team than the Dodgers, his career may have lasted longer but honestly who knows. After all he went through you get no signs of bitterness from Glenn for his outcome in life. He was proud of who he was and who he loved, and hoped in the end he would be remembered as a good person and what more can any of us ask for in life.